More competition: Every major brand has a loyalty program, giving consumers more options. Continued use of physical cards: The adoption of smartphones means that more and more consumers want to access loyalty programs via mobile rather than use physical cards. Messaging challenges: Loyalty management software doesn’t help marketers identify the preferred loyalty program contact strategy for each individual member. 88% of respondents belong to 1-5 loyalty programs, but only 18% actively engage with all the loyalty programs to which they belong. We asked participants what their top frustrations are as they relates to accessing their rewards program information. More than half of the respondents cited their top frustration as their inability to easily access their rewards information from their mobile phone (54%). 75% of respondents prefer a mobile loyalty program, saying that they would be more likely to actively participate in loyalty programs if they could do so easily from their smartphone. The large majority of consumers prefer to access loyalty programs from their smartphones, but mobile is a platform with several channels, and a channel preferred by one consumer may not be favored by another. 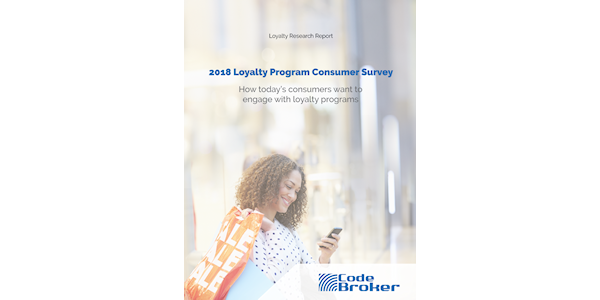 For example, 37% of respondents said they prefer to access their rewards information via a text message to their phone; only 28% want to access loyalty programs through the company’s mobile app. These are just some of the stats – we invite you to download the report and see all the results to help you re-think some of your loyalty program strategies to improve customer loyalty. Click the link to access the 2018 Loyalty Program Consumer Survey.